State# 93.615.0085. 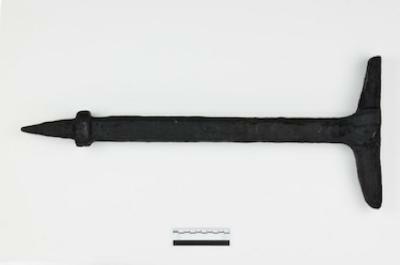 Post anvil.Added to 2nd Floor HM Exhibit Shipboard Tools Case 2/2013.Removed from 2nd floor Pirates Exhibit Jun 18, 2012. 62.7 x 26.4 (anvil) x 6.2 (rove) cm.